The health authorities have appealed to the parents not to skip vaccination and to ensure that their children are vaccinated with Measles Rubella (MR) vaccine to ensure their healthy future. District Immunization Officer (DIO) Dr.K. 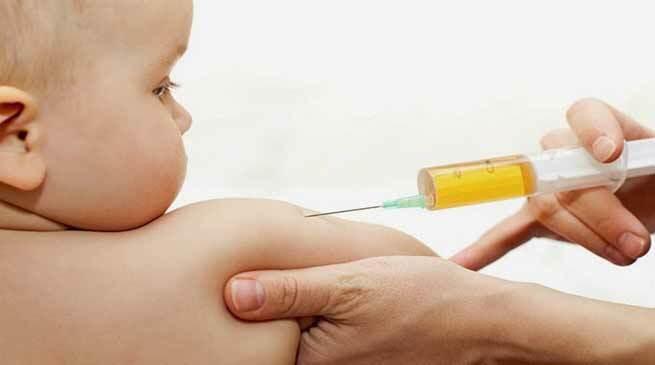 Thambalsena urged parents not to skip vaccination as ‘in fact it makes it even more important that everyone is vaccinated to keep life-threatening diseases at bay’. Dr. Thambalsena asserted the risk of contracting a disease is many times higher in unvaccinated children. She said immunizations like the MR have protected millions of children from deadly diseases and saved thousands of lives. “The reality is that vaccinations play a vital role in keeping kids healthy. Unfortunately, misinformation about vaccines make some parents decide not to immunize their children, thus putting theirs and others at a greater risk for contracting illness or even death,” she added. Dr. Thambalsena said vaccines work by preparing the body to fight illness. “Being vaccinated against the disease does not weaken the immune response to another disease but strengthen the immune system to resist disease,” she quipped, adding that the best way to protect children is through immunization. Dr. Thambalsena said that though reactions to MR vaccines are in the form of mild fever or rash which is transient, the element of risk involved is nothing compared to the health risks associated with the often serious and life-threatening diseases they help to combat. Joint Director, Health Services, Dr. Avijit Basu said the MR vaccines approved by the WHO have been proven safe and effective time and time again. “Measles is highly infectious and leads to morbidity and mortality. Rubella infection can lead to fatal death, spontaneous abortion and set of serious birth defects known as Congenital Rubella Syndrome (CRS). MR vaccination is one of the best weapons we have to keep kids healthy and dangerous diseases at bay,” he added. Deputy Commissioner Adil Khan, who is constantly monitoring the ongoing MR vaccination campaign across the district, urged parents and other stakeholders not to trust fake news circulated on social media by certain elements against the MR vaccination campaign. Even more sinister stuff doing the rounds on social media is that the vaccination is being used on minorities. Khan said Measles and Rubella vaccines are highly safe and protect children from the two deadly diseases enabling them to lead healthy lives. “I appeal to parents to get their children vaccinated, as the MR vaccines are completely safe,” he added. Khan exhorted upon the health officials and functionaries to start counselling of parents to convince them of the necessity to vaccinate their children and to step up awareness particularly in resistance prone and high risk areas.